Due to being naturally produced from bees, honey is recommended as a superior nutritional option to sugar, with the help of the industry. However is that really the case? Is honey better than sugar? Energy content (meaning calories, kcal). 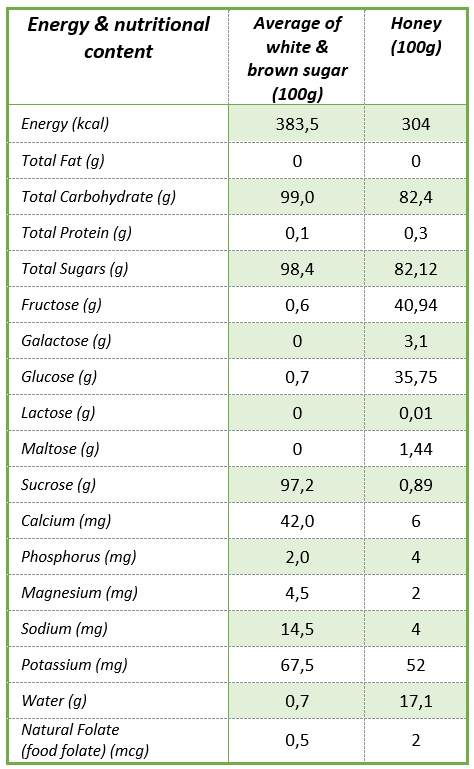 Nutritional value relative to sugar. As you can see in the table sugar calories (energy) per 100 gr are 383, while honey’s are 304. At first glance there seems to be a significant difference between them, in favor of honey. However, if we consider how they are served (usually a teaspoon) then we realize that a teaspoon of sugar is about 4-5 g (15-19 calories) whereas a teaspoon of sugar is about 7 g (21 calories). Hence the difference is not as significant. From the table we deduce that honey contains different kinds of sugars relative to sugar, but not so different quantities of them. Meaning honey contains fructose and glucose while sugar contains sucrose. Overall quantity of sugars does differ a bit, but if we take into account the way they’re served (teaspoon) this difference is significantly reduced. In addition, it is often mentioned that honey has a superior concentration of antioxidants compared to sugar. Some antioxidants are the following: Vitamins A, C, E and b-carotene as well as the following: selenium, lycopene, lutein and flavonoids. 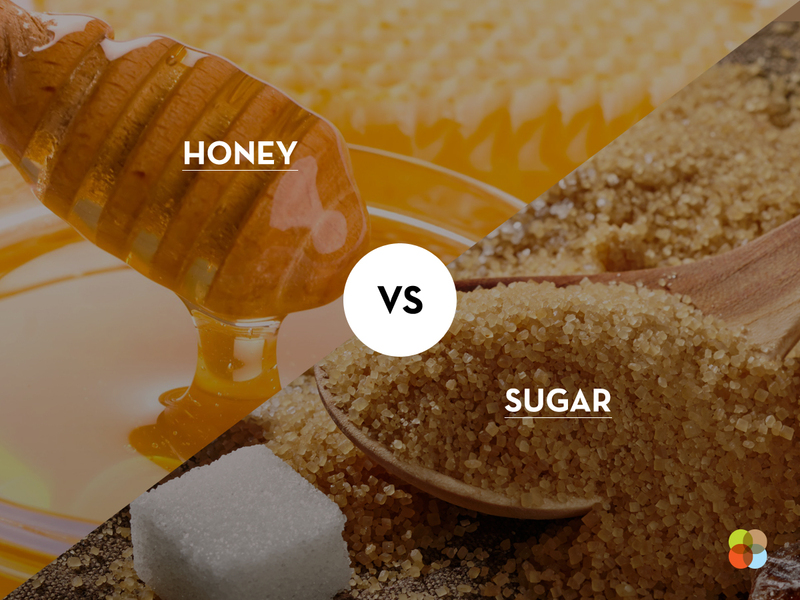 Both sugar and honey contain minimal or zero amounts of those substances. In more detail, their content in vitamins A, E and beta-carotene is zero. With regards to vitamin C honey contains 0.5 mg/ 100g whereas sugar 0 mg/ 100g.. However, this different is not significant if we consider that (1) 100 g is quite a big amount compared to 1-2 tsp that we consume and (2) that the Recommended Dietary Allowance for vitamin C is 90 mg and 75 mg per day for adult men and women respectively. Those who smoke should consume 35 mg/ day on top of that. As an example one orange contains approximately 65 mg vitamin C, 17 μg vitamin A, 0.27 mg vitamin E and 104 μg beta-carotene. As for the other antioxidants mentioned sugar and honey contain zero amounts of lycopene and lutein, 0.9 and 0.8 μg of selenium respectively and honey contains some flavonoids. ≥ 70 High glycemic index. ≤ 55 Low glycemic index. By comparing sugar and honey’s indices based on the glycemic tables for foods published, and concern averages of different varieties of honey, we observe that honey has a slightly lower index than sugar (61 for honey versus 66 for sugar/sucrose) but the discrepancy is small. 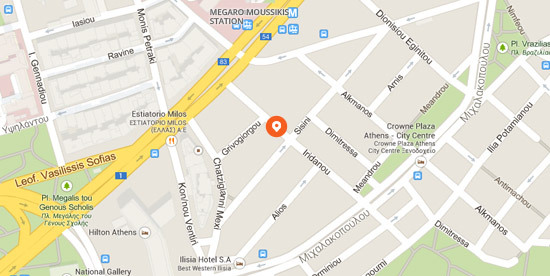 Honey from citrus fruits, ≈45. Honey from thyme/ chestnut tree/ flowerpot/heather, ≈53. Honey from pine tree, ≈75. Honey from the forest, ≈88. 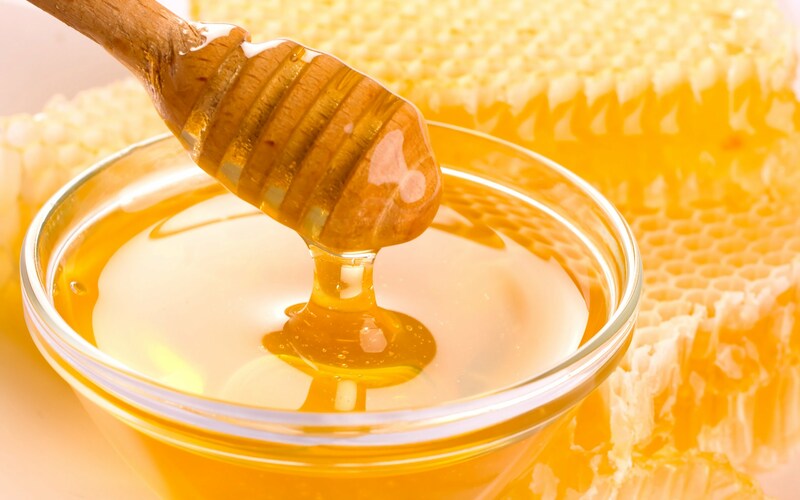 Thus there are notable differences between the glycemic indices of distinctive varieties of honey, probably due to several factors like their concentration in sugars and other physical characteristics. Honey shouldn’t be categorised as a single food without mentioning its variety and corresponding glycemic index, especially concerning those suffering from diabetes or those that are insulin sensitive (e.g. pre-diabetes, polycystic ovaries syndrome). Most varieties have a slightly lower index than common sugar while some have higher. Although honey is produced free of industry interventions, and therefore thought of as being superior to sugar nutritionally, this only holds under certain conditions. Concerning energy concentration there isn’t a significant difference. Both are energy dense foods, meaning they pack a lot of calories in small quantities, and should be consumed in moderation. Relative to their nutritional value differences are also very small since their main ingredients are the saccharides they contain. Between the rest of their ingredients dissimilarities are few as well with honey having superior nutritional value. Glycemic index appears to be different, but it’s variable in accordance with the saccharides concentration of different honeys, with some having similar or higher values assigned (≈65-75) relative to sugar (≈ 65) and others slightly lower (≈50-55). A small number of varieties seem to have even lower indices (≈45) or a lot higher (≈85).